With today's hectic lifestyles, most of us end up eating out at least once a week. That could mean grabbing a sandwich from the supermarket deli counter for lunch, ordering take-out for dinner, or splurging on a special meal at a favorite restaurant. Ask how the food is prepared. 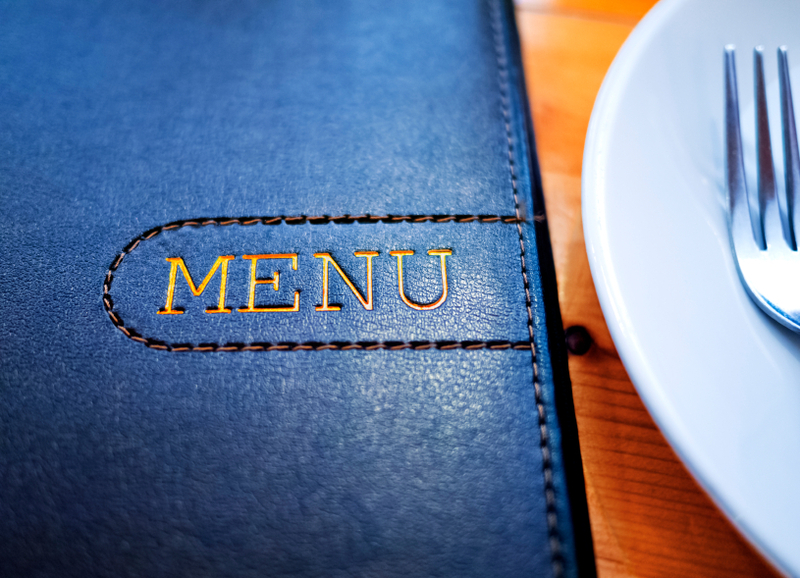 Before you order, ask about ingredients and how the menu selections are prepared. Try to choose dishes made with whole grains, healthy oils, vegetables, and lean proteins. Meat that has been broiled, poached, baked, or grilled is a more health-conscious option than fried foods or dishes prepared with heavy sauces. Look for less. Your eyes are the perfect instrument for sizing up portion sizes. Use your estimating techniques to size up the food on your plate. Plan on eating half your meal and take the rest home to enjoy for lunch or dinner the next day. Order an extra side of veggies. Non-starchy vegetables, such as green beans, broccoli, asparagus, or summer squash, will help you fill up with low-calorie choices. Think ahead. Learn important nutrition information ahead of time. Most fast-food chains provide calories, sodium, and fat content for their menu items. Check out www.calorieking.com for a listing of over 50,000 foods, including many restaurant items. You can also visit company-specific websites (such as www.mcdonalds.com or www.pizzahut.com) for nutrition breakdowns, or call and request a pamphlet. Many locations display posters with this type of nutrition information. For more information on the essentials for a healthy diet and managing type 2 diabetes, buy Diabetes, a Special Health Report from Harvard Medical School.